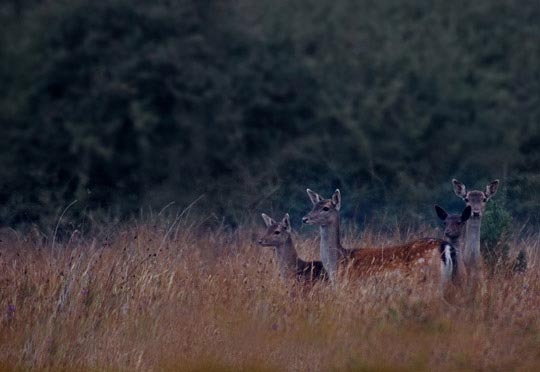 Twenty-seven resident terrestrial mammals in Ireland detailed in new swatch. The purpose of the swatch is to provide a field guide to easily and effectively identify Irish Terrestrial Mammals in the wild, and to provide some insight into their behaviour and distributions. 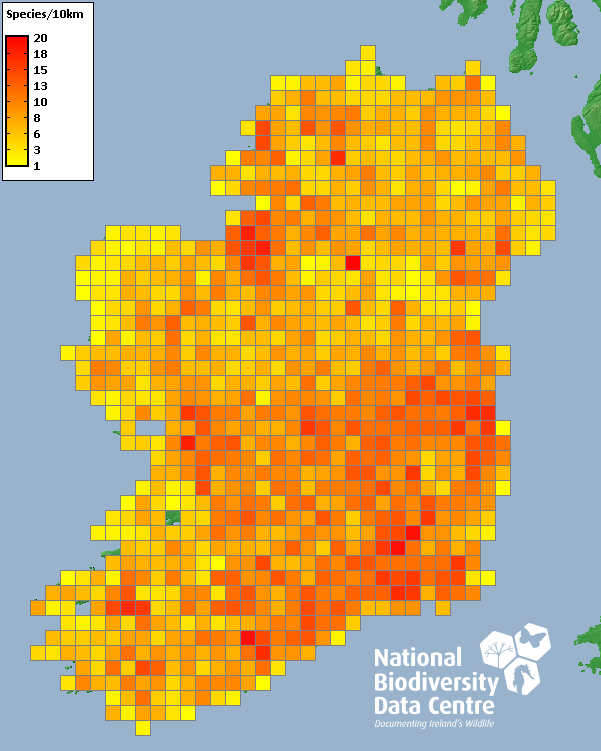 Explore some 31,468 records of Ireland’s mammals within the most recently collated ‘Atlas of Mammals in Ireland’ dataset held within the National Biodiversity Database. This new addition to Ireland’s Biodiversity series of identification swatches brings the total number of swatches produced by the National Biodiversity Data Centre and many contributing authors to 7. 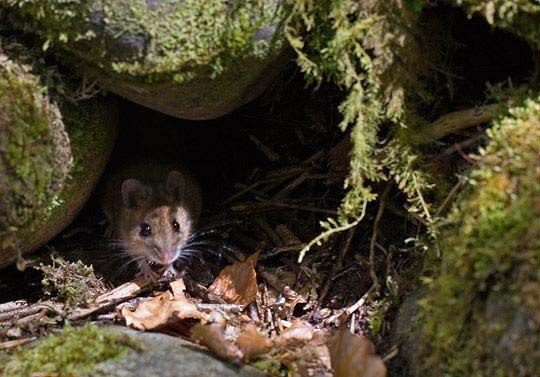 Authors Liam Lysaght, Andrew Torsney and Andrew Harrington all contributed in various ways to the guide which will hopefully assist many of Ireland’s rich and growing network of biological recorders to identify and track Irish terrestrial mammals. The new swatch provides species profiles for each of the 27 terrestrial mammals covered, offering details on key identification features and insight into behavioural characteristics of the species and likely places to find them, not to mention some top-class photography by some very able contributors. 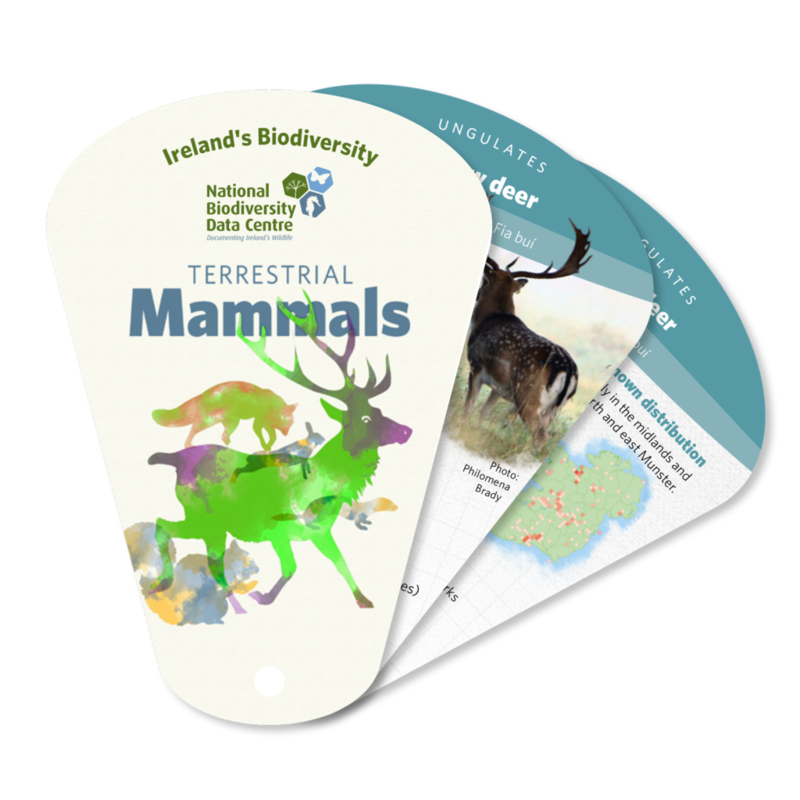 A number of Ireland’s mammals which people would be very familiar with are not included in this swatch for practical reasons, but by and large the majority of terrestrial mammals found across the country are included, both native and non-native. There are for example 9 resident bat species in Ireland and a number of marine mammals that can sometimes be found on the periphery of our coastal terrestrial habitats such as the Grey Seal (Halichoerus grypus) and Harbour Seal (Phoca vitulina) which are not included. 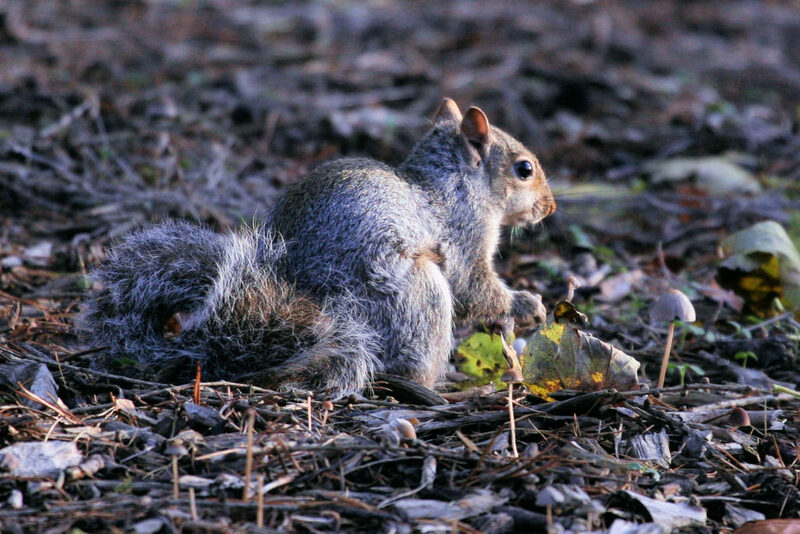 Commenting on the release of the new swatch, co-author Dr. Liam Lysaght noted that he “hopes the guide will help encourage renewed confidence in mammal identification within the recording community” as many people recognise the elusive nature of various species within this group of animals which can be off-putting. It is also hoped increased recording activity on the back of releasing the new swatch will help contribute valuable data to the 2nd European Mammal Atlas, surveying for which started in 2017 and will cease in 2023. Such projects are immensely important for the production of distribution maps for mammals within Ireland and across Europe which can inform where mammal communities are occurring and how these distributions might be changing. Not only can we continue to increase our understanding of some of our more common species, we can also begin to do the same for our under-recorded species as well as mapping in detail the distribution of some of our newest arrivals, for example the bank vole and greater white-toothed shrew among others. You can support this project by submitting your observations of mammals to Ireland’s Citizen Science Portal. the ‘Atlas of Mammals in Ireland, 2010-2015‘, which is also available at the above link for €30.00.